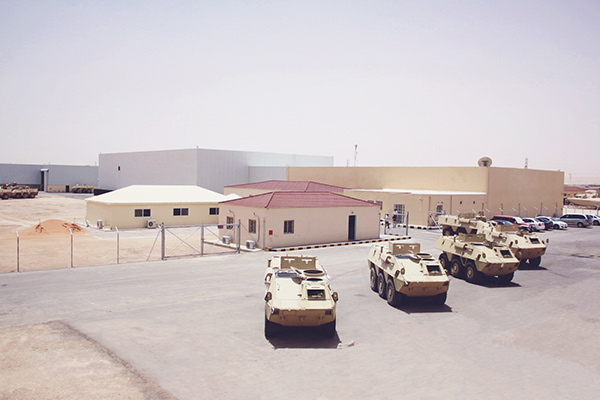 Like any other company, we have a main production facility that is located 50 km from Riyadh in Al Kharj area. The facility includes the factory, offices, and staff residence are established on 40,000m². The factory comprises a combined floor space of 10,000m2. The floor space includes the offices, design center, warehouse, machine shop, assembly and stripping line. It is equipped with industry standard production line of machinery and capable of handling the most sophisticated job, from a single bolt up to a tank, we can assure our clients only the best service anyone could hope for.